Care2 Causes | Can a 'Chemo Sponge' Help Cut Cancer Treatment Toxicity? Can a ‘Chemo Sponge’ Help Cut Cancer Treatment Toxicity? Scientists believe a so-called “chemo sponge” could help give us the cancer fighting power of chemo while cutting down on the negative side effects. 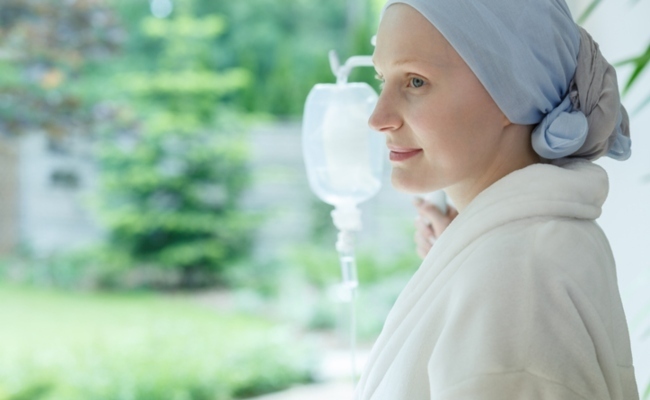 Chemotherapy is, for many cancer patients, an effective means of stopping cancer cells reproducing and thereby slowing or even eradicating tumors from the body. It also has a proven track record of helping other treatments, such as radiation therapy, work at their best. However, for many patients chemotherapy can also come with a range of side effects. Some of chemo’s side effects are more localized, for example dry skin or hair loss (which are definitely psychologically distressing but not necessarily an urgent physical problem), but others are more serious, such as extreme fatigue, sickness, vomiting, diarrhea, constipation and the risk of picking up more infections. While most chemotherapy side effects do clear up soon after treatment ends, there can be lasting consequences for some patients, including but not limited to a higher risk of heart problems and a higher risk of lung problems. Scientists at the University of California, Berkeley say they have come up with a 3D printed “sponge” that soaks up chemotherapy drugs, reducing these symptoms. The study, which appears this month in the journal “ACS Central Science“, demonstrates how these sponges can theoretically be tailored for individual patients. The doctor fits the sponge before chemotherapy begins to a site immediately after the tumor that chemo is targeting. As the chemotherapy drug circulates in the body, it will pass through the tumor and get to work destroying cancer cells. Then, elements of the drug that are not taken up by the tumor cells will flow into the capture device or sponge where special nano blocks capture the harmful polymer chains and hold onto them. This essentially means that the blood flowing away from the tumor will carry far fewer toxins, significantly reducing the chemo’s impact on the rest of the patient’s body. The device would need to be inserted prior to and then removed after each chemotherapy session. As these devices are very small, this is unlikely to be intolerable for the patient. The researchers have carried out tests of this device in pigs* and found that the sponge was able to absorb around 64 percent of a circulating chemotherapy drug known as doxorubicin. The researchers believe that even if the effect is reduced in humans, the impact of reducing the circulating drugs by even half could have a massive benefit for patients. There’s another key reason why this approach could be so beneficial: if we reduce chemotherapy’s side effects, we shorten recovery time needed between chemotherapy sessions. This means doctors could potentially give patients more rounds of chemotherapy before it begins to take a toll on their patients’ health. This could be particularly useful for patients who have cancers that have not responded well to excision but who are still able to live their lives relatively unhampered, so long as they can maintain their health. Reducing chemotherapy’s effects won’t cure them, obviously, but it could help extend their lives. For other patients, being able to administer more rounds of chemotherapy to fight aggressive cancers could, in fact, be the difference between eradicating the cancer and having it return later. There are some barriers to this becoming a viable treatment. The most obvious barrier is that, while animal modeling can predict outcomes in humans, it cannot guarantee success. We will have to see if this kind of procedure is as useful in human trials. Furthermore, the sponge in this trial was specially designed to work with the commonly-used drug, doxorubicin. Other drugs will require other tailored sponges. We don’t know for certain if the procedure’s ability to mop up doxorubicin will translate across different drugs with equal effectiveness, so that will be another area the scientists will need to test. However, for now this research provides an exciting glimpse into a way in which we can make an effective treatment like chemotherapy even more effective and, crucially, more gentle for cancer patients. *Care2 does not endorse animal testing and highlights that there are other ways, such as computer modeling, that are more ethically sound and, in some cases, more useful. Heard about new findings here, that patients cope better with chemo, while fasting a few hours every day. Only by observation, no animal testing needed. While noting the good effects of this sponge I am cringing for the animals used in the testing. Anything that can ease the side effects of chemo is very welcoming... - God Help all those with cancer.. - Sure hope they find a cure for this deadly disease, in my lifetime.. I hope it helps, but even more, I hope I will never be in the position where I need to find out.